Krishna’s Secret is the first book by Devdutt Pattanaik that I have read and I am totally disappointed. 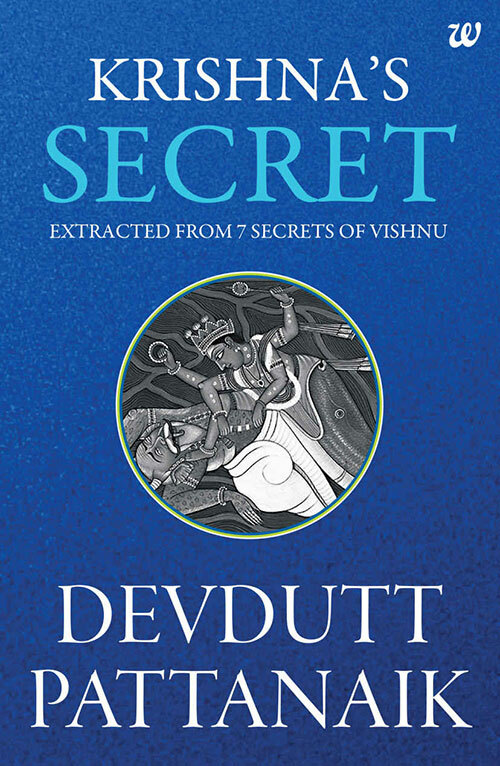 For the record, it may not be considered a book though, as it is only one chapter extracted from Devdutt Pattanaik’s book 7 Secrets of Vishnu! I knew this fact while downloading Krishna’s Secret on Kindle as it has been specifically mentioned in the description of ebook, and I have nothing against the author/publisher on this point. In fact I was initially impressed by the smart strategy. I thought it would be good to get a hang of his writing style before I go ahead and purchase the entire series of books, suspiciously titled as Secrets! Well, I am not a big fan of the secrets and had my doubts! And, my instinct proved right as there is nothing in the present book to be qualified as Secrets of Krishna. The short ebook is simply an essay about Krishna and the dual role he played as a cowherd and a ruler. Devdutt did try to explain Krishna’s philosophy behind these two widely different roles, taking pains to justify the Maharaas and Mahabharata, the Vishnu Avatar dabbled in. But, the more he tried to expound on theory/push reason, the lesser effect it produced on me as a reader! There is nothing new offered in these pages, other than what we already know about Krishna. In fact, the book hardly touched the tip of iceberg, in the vast sea of mythology. One reason may be that Krishna is such a popular figure in our religion/spirituality that almost every aspect of his persona has already been discussed in detail and there are hardly any secrets left to fish out. In a way, had the book been simply titled Krishna, I would have spared Devdutt this criticism. But the way reader’s curiosity is kindled and then thwarted, put me off. There were some paintings and photographs of statues, that were included in the book. I liked some of them, because of their novelty as I haven’t seen Mysore style of paintings before. But even these pics left a lot to be desired, as the attempts to explain what is shown/exhibited in these photographs, seemed a hurried haphazard attempt by the author. The photographs should have been allowed to speak for themselves. The dialogue boxes marred instead of adding to visual appeal or intellectual curiosity.